Alderman Joe Roddy has introduced Board Bill #443 which if approved would adopt a new "Community Unit Plan" for the Washington University Medical Center. A Community Unit Plan is a zoning overlay plan that allows development flexibility that otherwise would not be possible under the current single use zoning districts. The bill was first read on January 11th, and will be heard at a meeting of the Housing, Urban Development and Zoning Committee on Wednesday January 30th at 10:00 am. The agenda has nine board bills to be heard in the one hour meeting. The new plan outlines development of the medical center over the next 10 year from new construction, demolition, to an overall parking plan. Among a long list of items is the proposed possible demolition of both the Central Institute for the Deaf building at the southeast corner of Euclid and Clayton Avenues, and the Shriners Hospital building at the northeast corner of the same intersection. 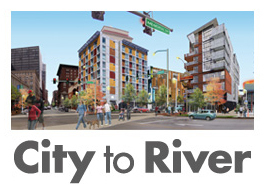 The plan shows demolition of over a dozen buildings. Arguably the most architecturally significant of these are the Shriners and CID buildings. 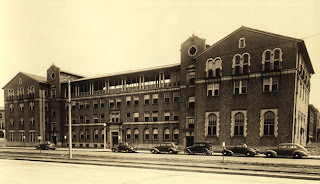 The Shriner's Hospital for Crippled Children was built in 1922, and the Central Institute for the Deaf in 1929. 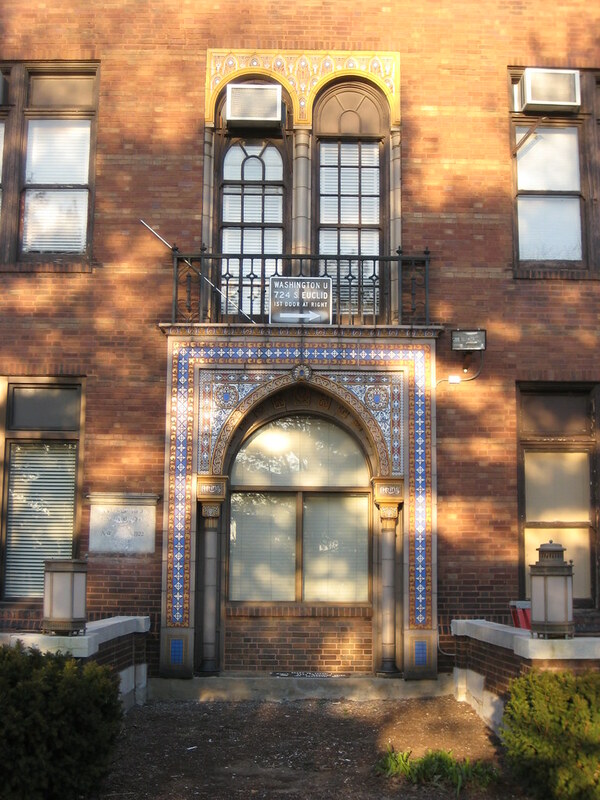 Both were designed by architect William B. Ittner and executed in variations of the Mediterranean revival style that was popular at that time for institutional buildings. While both buildings may be in need of some renovation, both are clearly in great condition and have been well maintained over the years. Demolition of such buildings of this merit would be inexcusable. 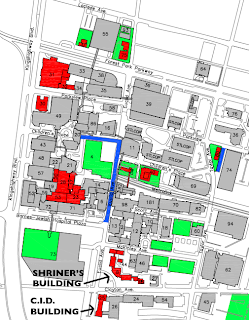 The plan describes dozens of changes contemplated across the medical campus. 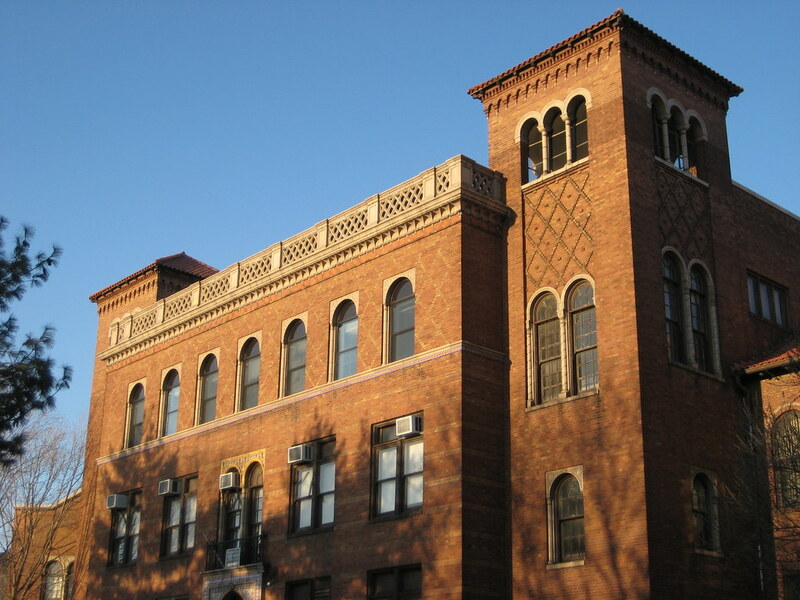 For Shriners it states "Planning is under way to either demolish or renovate the old Shriner's Hospital at the corner of Euclid and Clayton Avenues" and for CID "Plans to renovate the 818 S. Euclid building are being reviewed at this time to determine the most efficient use for the building, or its demolition". More photos of the Shriners building can be seen here on my Flickr page, and Doug Duckworth also has photos of both buildings here. I will do a another post in the future covering some of the other buildings included in the plan for demolition. It's hard work to be a slumlord, so why bother. 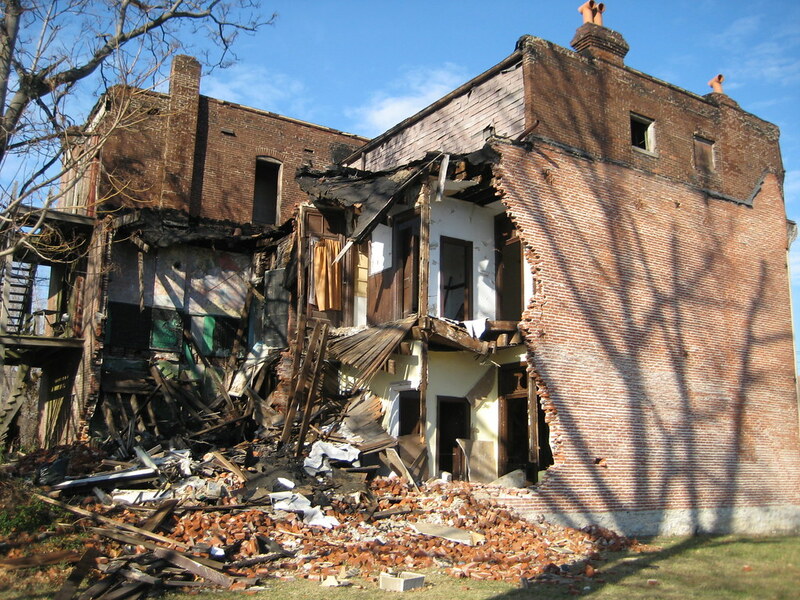 Tenants are messy and often want you to keep the buildings they live in from falling apart. Most tenants would complain if you bought the building they lived in and the windows and doors mysteriously disappeared. They would also probably get a little aggravated if they came home from work one day to find that the back of the building where they live was gone! When you buy a building it's much easier to just evict everyone... but then what? It costs a lot of money to have the building demolished yourself. 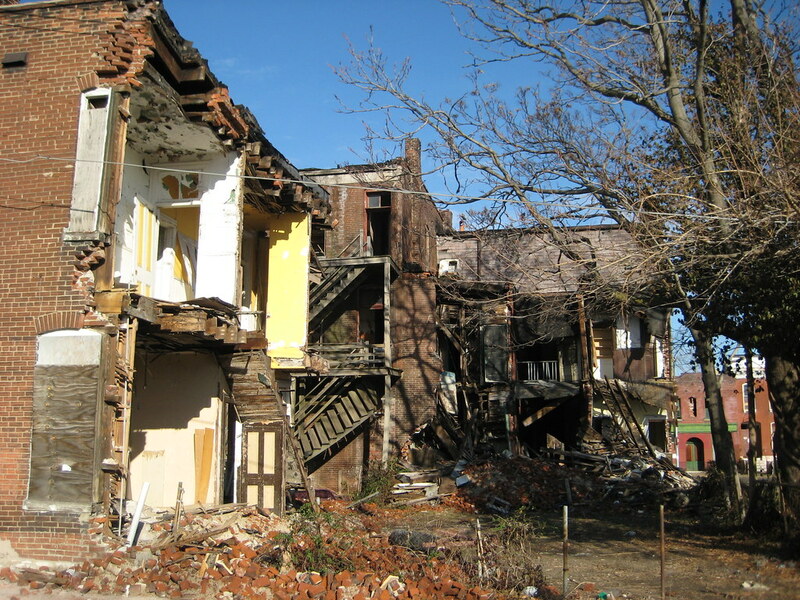 It would be much easier to get the City to condemn your building and order up an "emergency" demolition. 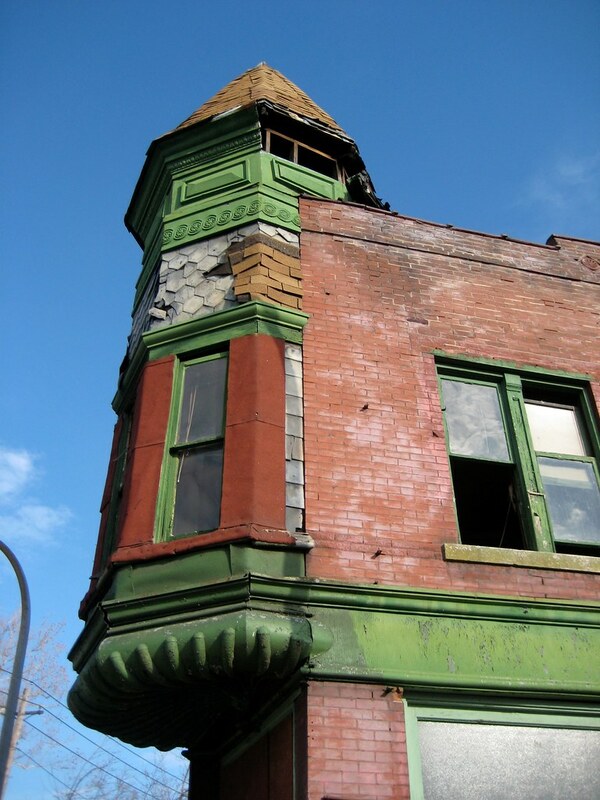 For this to happen your building has to be in fairly bad shape, so you may want to enlist some "help" to get the building in the right condition to have the City step in and "take care of it" for you... such as having someone strip off the rear of the building brick by brick! 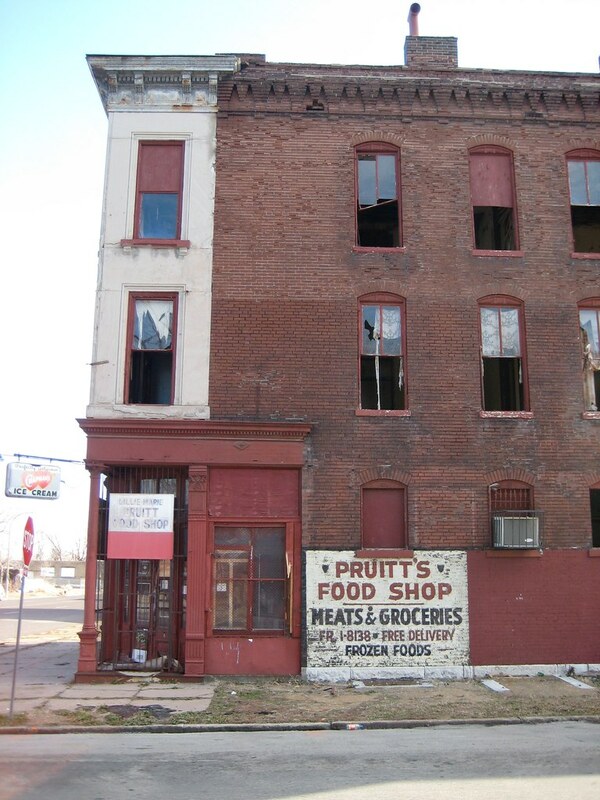 While its difficult to prove he connection here, the fact stands that there have been many buildings in certain north St. Louis neighborhoods that have fallen victim to what is known as brick rustling, in other words stealing brick, entire walls of brick (or in some cases the entire exterior) from standing buildings. 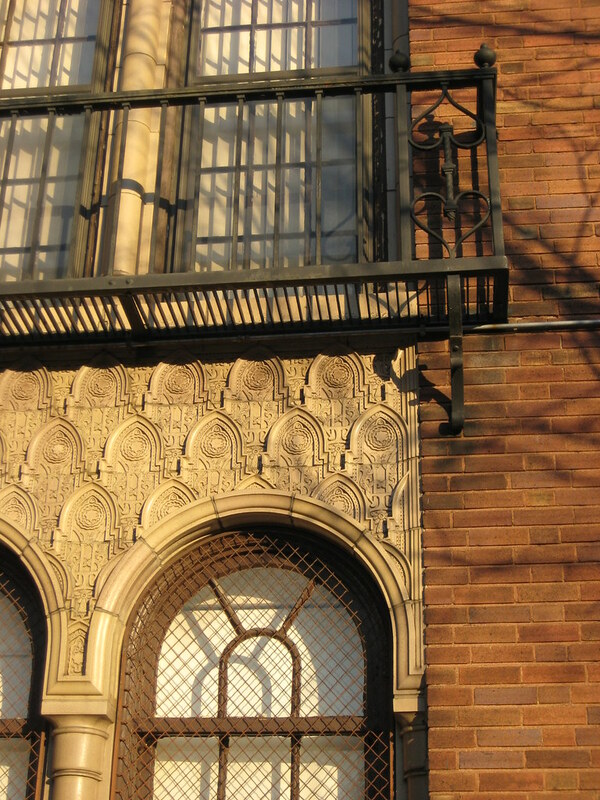 For an alarming look at brick rustling take a look at this entry from Built St. Louis. 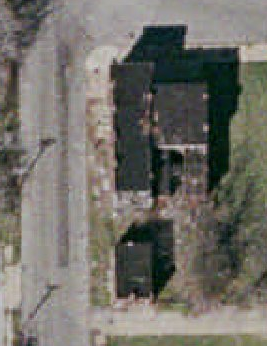 Like a high percentage of buildings that are being ravaged by brick rustling, these buildings at St. Louis and Glasgow Avenues are owned by a certain developer from St. Charles County, best known for the sprawling, want-to-be a place with an ounce of character, known as Hellhaven. The Serial Building Killer owns literally hundreds of buildings and vacant lots in North St. Louis that he is compiling for some kind of massive new development... maybe "North Hellhaven"?... or maybe a giant industrial park like the one that his company is building east of Lambert Field? 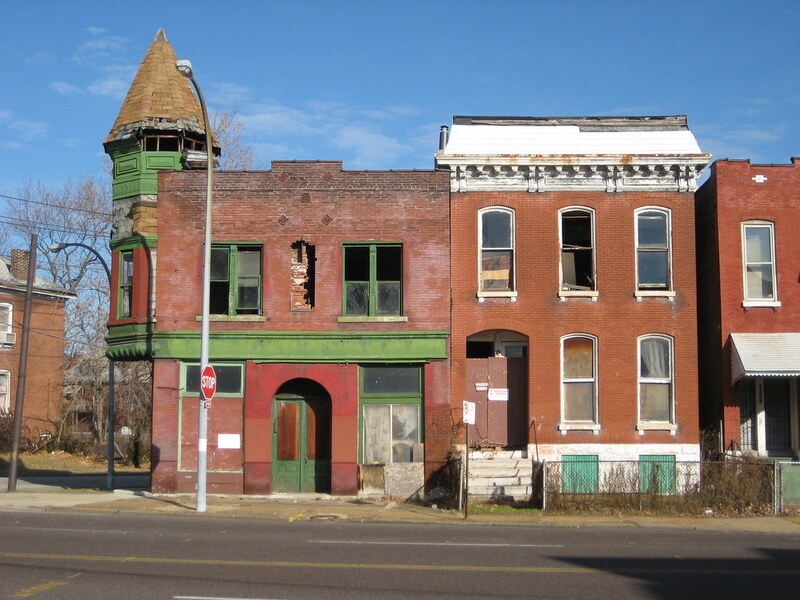 For the whole story about this one-man systematic quest to destroy North St. Louis, check out the The World of Blairmont section at Ecology of Absence. 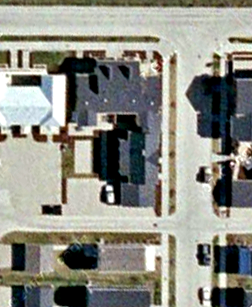 This grouping of buildings, all of which have been ordered demolished by the City, lies at the southeast corner of the intersection. The ensemble consists of a three story multi-unit rowhouse building, a corner store with two stories of apartments above, and an alley house along Glasgow that gives urban form to what would ordinarily have been the side view of a back yard. 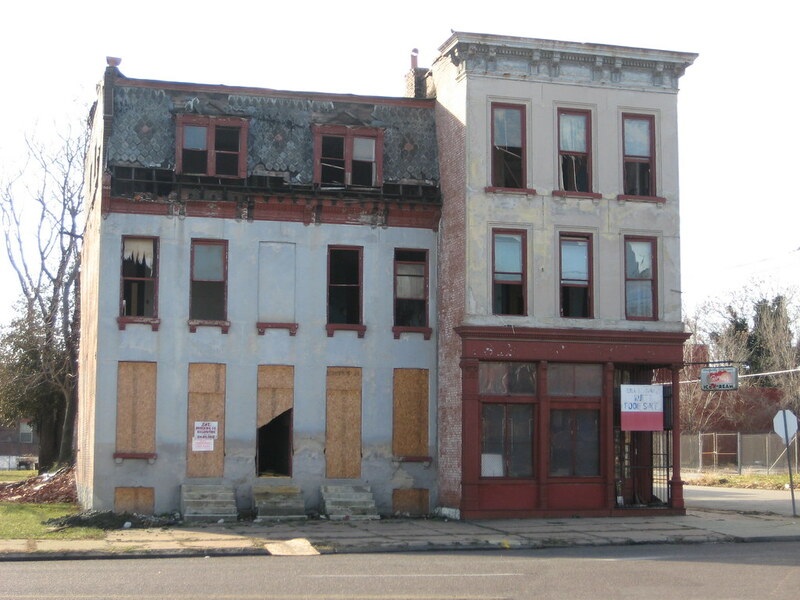 It is a text-book example of the ubiquitous urbanism that St. Louis is losing at an alarming rate. The sad irony in the loss of this group of buildings is that this very urban typology we are losing is now being emulated in some new outlying developments. Despite its marketing which might lead you otherwise, Hellhaven is a wormy mess of cul-de-sacs with many instances of homes backing, yes backing to the main roads of the development. However not far from Hellhaven a development called New Town at St. Charles is doing things a bit differently. Its planning and building forms emulate the way communities were built prior a century ago, before the automobile was made the sole center of the universe around which all planning rotates. The Aerial photo below is of Glasgow and St. Louis Avenues. Below is photo of a corner at New Town showing almost the same building arrangement with a pair of townhomes facing the main street and an alley house that is a separate residential unit fronting the side street. Parking access for all units is off the alley. 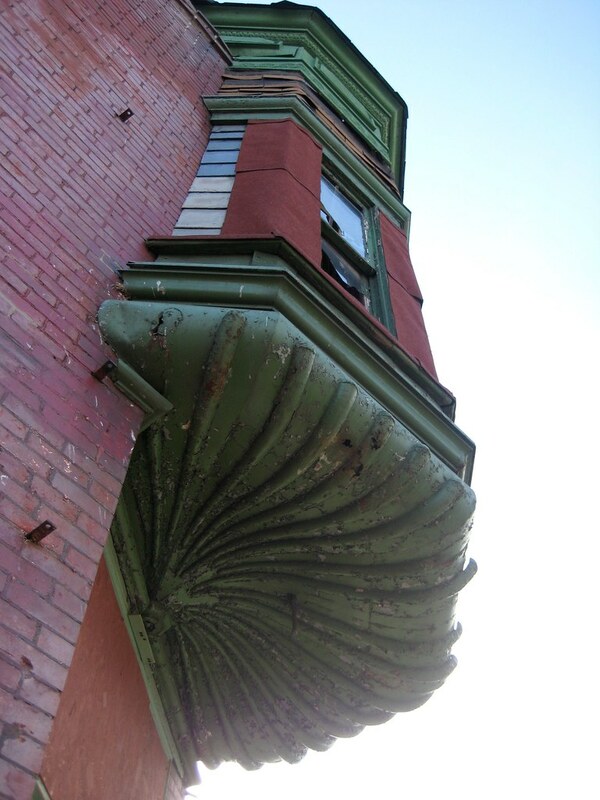 As for the current condition of the buildings, one could say that they are too badly damaged to save, right? I would say however that they are still able to be rehabilitated, based on examples of buildings in similar or worse condition. The corner building has sustained almost no damage, although the alley house admittedly is pretty bad. 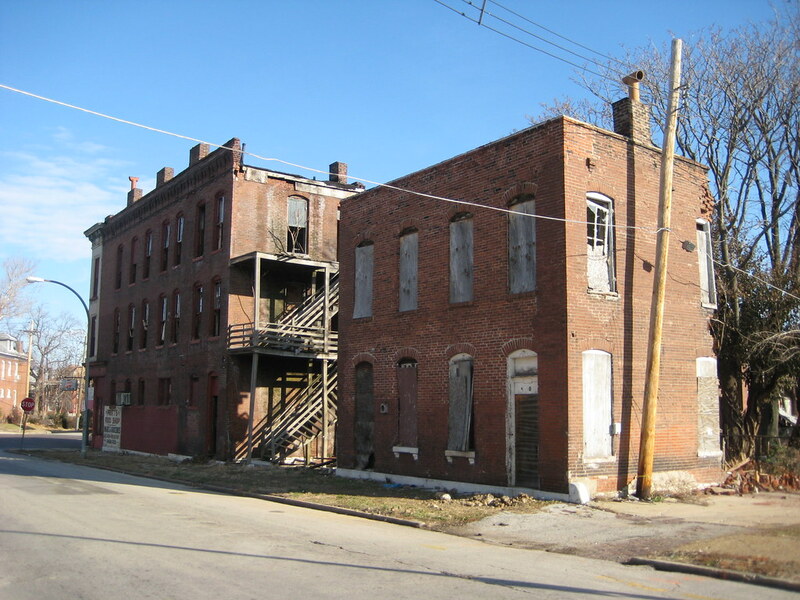 The photo below is of the rear of a pair of townhomes on Chouteau near Mississippi taken several years ago. The pair has since been fully re-built and restored. 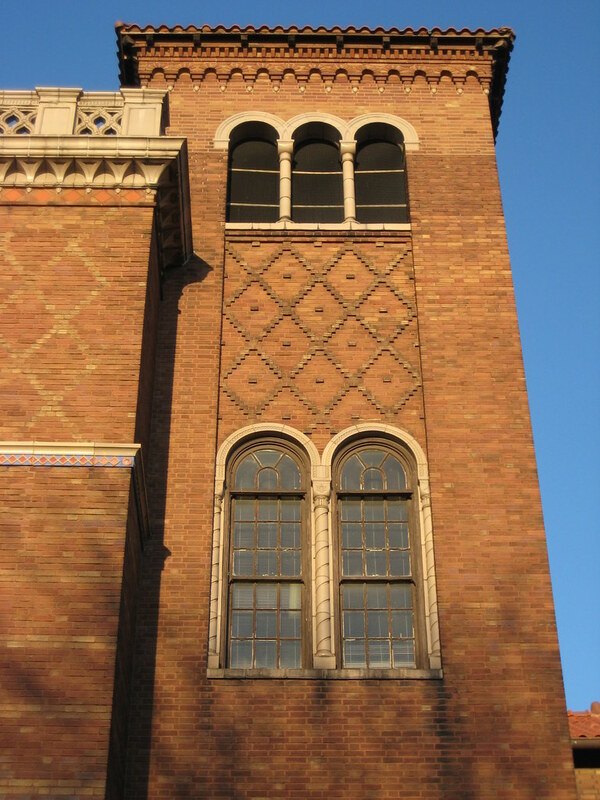 The beautiful turreted corner building below is at the northeast corner of the intersection is known by some area residents as the "flatiron". It's more like a Flatiron in reverse, since it is wide at the front facing St. Louis Avenue, and tapers to almost nothing at the rear. Unlike the buildings to the south, this one has so far not been a victim of brick rustling. While there are signs of neglect, the only major damage to this building seems to be a small portion of the west wall around a window that is falling apart. This would only require some minor masonry re-building, yet the building and the group accross the street are being demolished this week!